Q: When the spot price of a metal goes down but the premium goes up. Who makes the profit from the increase in the premium? Our mark up (the retail dealer) remains the same. Our cost from the wholesaler rises. When the wholesaler has too much inventory, they lower the premium. 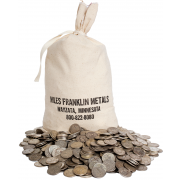 When they don’t have enough inventory, like now with junk bags and other silver items, they raise their bid to attract more inventory and pass the cost on to us – and then on to you. It is determined by supply and demand and is not arbitrary. Andy Hoffman has been detailing the rise in the premium on junk silver as the price is falling. Because of the low (too low) price of silver, fewer people are selling and the wholesalers have to raise their bids to attract inventory so they have product to sell. That is one of the interesting things that happen when the spot price of gold and silver falls too low. 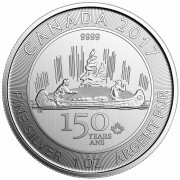 What good is silver spot at $8 if you have to pay $15 to buy coins and bars – which is exactly what happened in 2008? Q: Can Obama give away the reserve currency status? WOW! What a fun question! The answer of course legally no he can’t. Now “practically,” that’s another story altogether. I suppose he could come out on national TV and tell the world “we don’t have any gold left and we sold everyone’s gold we were custodian for.” That would do the trick right? Or how about if he woke up a 2 AM and decided to nuke the world, would the dollar …or anything else for that matter be the reserve currency? Or what if he fired Yellen and Jack Lew, then decided not to nominate anyone to replace them. What would happen then? In my opinion, the man has spent the last 6 years “trying” to give the reserve status away with his actions and the world is near ready to take it from us, one way or another it will come to pass but it will not be the result of one man’s actions. 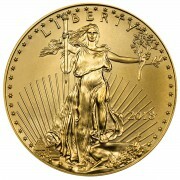 Q: Of all the coins minted in the US each month, what percent are purchased by US citizens? The Mint, like any other retail business, doesn’t release information about its clients – and thus, we can only speculate. 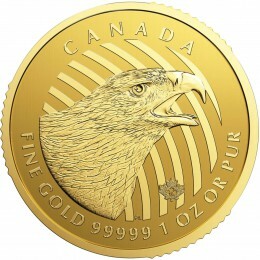 However, it doesn’t take rocket science to realize that since the U.S. bullion business – Miles Franklin included – has seen a significant slowdown during the 2013 and 2014 record years for U.S. Mint sales, that it wasn’t U.S. customers buying them. Without having any “evidence” to support my views, I believe the vast majority of the recent growth has been from international customers – principally from the Eastern Hemisphere, where overall physical PM demand is at or near record highs. And if the Chinese are the largest buyers, I wouldn’t be a bit surprised – as yet again, the U.S. government hands them the keys to global leadership on a silver platter. I watch with eager anticipation to see if our President cuts off funding the stock market pyramid, thus allowing it to collapse, and then blaming it on lack of investor confidence in the new Republican majority to allow his “successful” economic growth activities to move forward. Of course physical PM demand is high at these prices. If BMW M4 is selling for $10K don’t you think demand will be super high? All of sudden everyone will want it. Gold has lost its role as an inflation hedge. It keeps on breaking key levels and eventually we’ll be talking about sub grand price. MK and everyone else may claim they are right about whatever but they are not right unless gold goes higher because right now cash is winning. Until then I think it’d be a prudent thing to refrain oneself from screaming “time to act is now” but rather “wait till the mood turns” like Larry Edelson is advising. I don’t think there will be a violent reversal move from here even if the sentiment is to turn. You won’t lose an entry point. Therefore nothing’s wrong with waiting. Sentiment change. Thought that was clearly stated in the paragraph. One thing that I am almost sure of is when the reset happens the politicians will either create an event to blame the failure on or find a scapegoat to blame it on. It saddens me to realize that the world has lost it’s desire to tell the truth. At a time that I should be travelling and enjoying retirement I find myself having to alter my financial plan, this in an effort to position myself so that I can provide my children and grand children with a safety net. The world is filled with people that make things happen. Then there are thoses that watch things happen, and then there is the majority of people that will wonder what happened. My concern for the future is how will we our families be safe when those that have no idea what is coming begin to do desperate things and look for someone to blame. Human nature always looks for someone to blame. To continue concealing from the people the truth will only enhance the negative outcome.